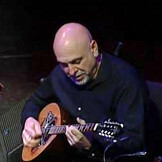 ... is the bouzouki player and one of the four vocalists of orfeas. Anthony Pentikis, born in Somerville, Massachusetts, developed a passion for Greek music as a young boy picking up his first bouzouki when he was just 8 years old. A self taught musician, Anthony took to the stage professionally at the age of 12. By the time he was 14 years old, Anthony began playing weddings and parties throughout the Boston area. In the 1970’s, he founded The Glendopetha with local musicians who entertained audiences in New England and across the country. Thoughout a music career that has spanned more than four decades, Anthony has entertained the likes of Anthony Quinn, President and First Lady Gerald and Betty Ford and had even played “Take Me Out To The Ball Game” on the bouzouki before thousands of Mets fans at Shea Stadium. Anthony has also performed with tenor Mario Frangules. Through the years, Anthony Pentikis has been a staple in Boston's Greek music scene, performing regularly at clubs like Schooners, Dionysos, the Olympia, and the REX to name a few. Anthony is a founding member of the orfeas band and has been playing bouzouki with the band since its formation in 2000. For the past few years, Anthony has also been performing with the Greek Music Ensemble, as well as regular Saturday night appearances at Brother's Kouzina Greek nights in Saugus MA. Anthony resides in Lynn, Massachusetts with his wife, Sophia and daughters, Joanna and Christina.